We have marked a distinct position in the market by offering superior quality Banana Chips Packing Machine. We fabricate these chips packing machine at our fabrication unit using optimum quality components and leading technology in accordance with international quality parameters. Our range is highly demanded amidst the customers for their high performance and durability. 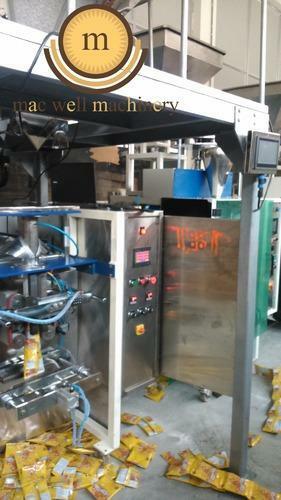 Moreover to this, our esteemed customers can purchase this chips packing machine from us at industry leading prices.